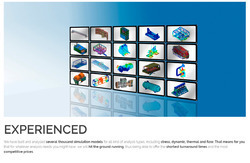 Designit4u provides Engineering Analysis as an integral part of many projects or as an independent service. By analyzing the design carefully, the design can be optimized for geometry, weight, structure, function, thermal efficiency, vibration and safety. We can optimize your product and assure its'''' safety.